Dec 17. Clear weather & warm. One day same as another as it is constant drill. This evening we received orders to get and recite lessons evry night to the Major from the Military tactics. I cannot see where we are to get the time to Study unless we do it late of nights. Cap. Patterson is under arrest for using improper language in regard to his superior officer. 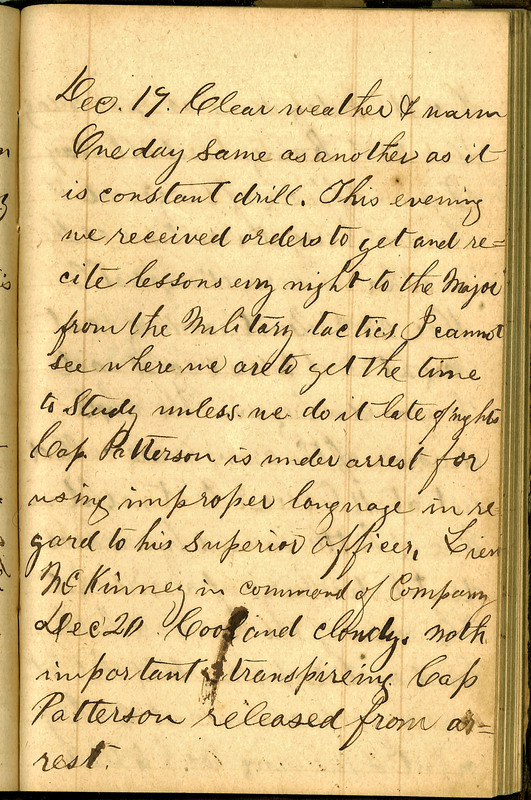 Lieut McKinney is command of Company. Dec 20 Cool and cloudy. Noth important transpireing. Cap Patterson released from arrest.